High availability and recoverability are a DBA’s biggest challenge. Meeting service level agreements and compliance requirements are harder then ever, especially in shops with little or no batch window. 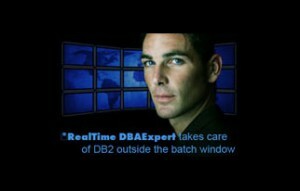 RealTime DBAExpert (RTDX) is a comprehensive Db2 database administration tool kit that you can use to automate maintenance and manage databases in a static, predefined batch window or dynamically On Demand. RTDX also controls the execution of Db2 utilities and Db2 commands. The integrated SAX (Space AssuranceExpert) – monitor proactively warns the user and efficiently manages space. RTDX leaves it up to you whether Db2 database maintenance should be done the classic way, in a predefined batch window, or the On Demand way, dynamically once a threshold is exceeded. Whatever you decide, job execution and management features like Utility Runtime Prediction, WLM Control and Utility Governance always assure that it easily aligns securely with your production workload.